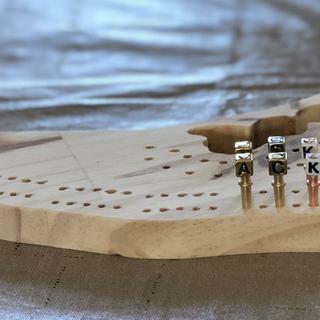 Our acrylic cribbage templates let you drill hundreds of neat, precisely spaced holes in just minutes—making it easy to churn out cribbage boards for gifts or personal use. Just select the wood species of your choice and attach the one-piece templates with Double-Sided Turner's Tape (#25801, sold separately). The templates are transparent for easy alignment and are made of durable acrylic to protect your game boards during the drilling process. Available in two different styles: Straight Track and Curved Track, each of which is also available in 2-Player and 3-Player versions. Each kit includes a Self-Centering Drill Bit. 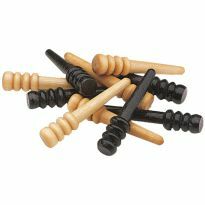 Easy to use and good for many cribbage projects. 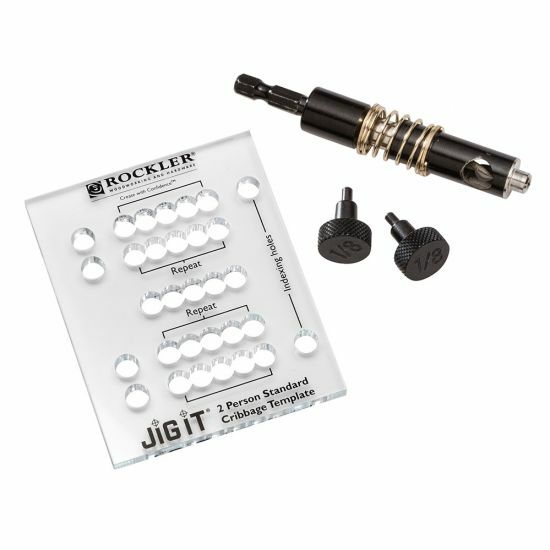 I have 3 from rockler and use all of them. 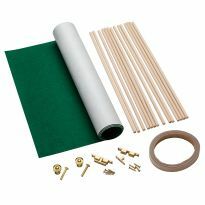 Cant wait to start making boards. Tried on sample block, came out very neat. Looks like was made by a Pro. 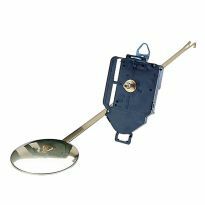 Very easy to use and substantial. Made my life so much easier. great didn't use it yet. 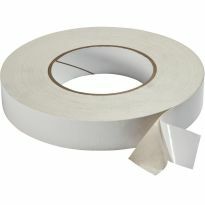 Quick and easy to use, wish it was made in alum. 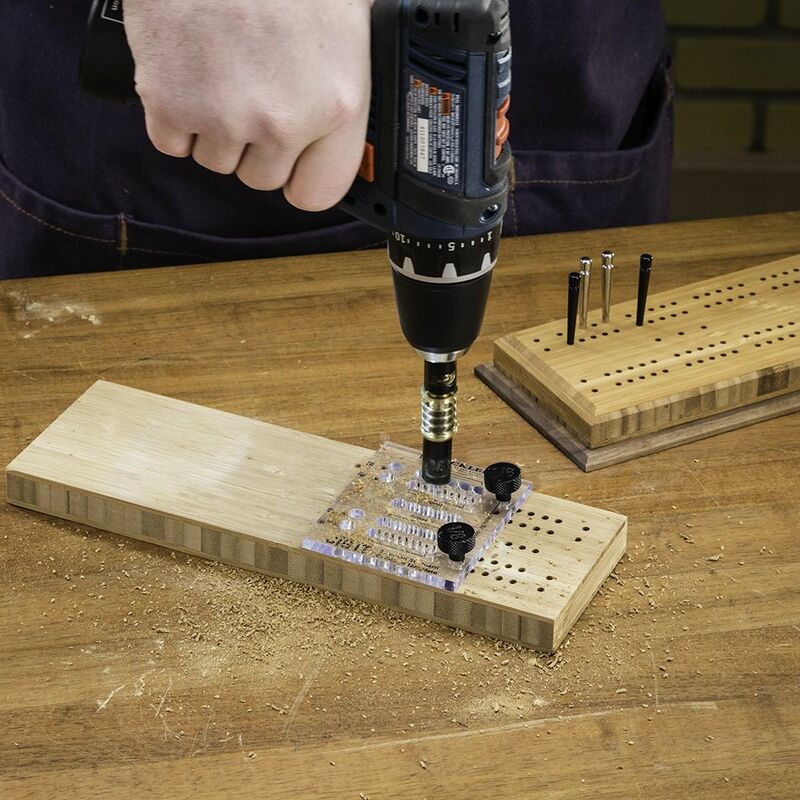 Simple device to drill the many needed holes! One challenge: varnishing the piece after drilling the holes tends to (partially) fill the holes w varnish. The problem was trying to figure out how to locate it for drilling the first holes instructions not adequate. The template is sturdy. The drill bit is not. It snapped right away. 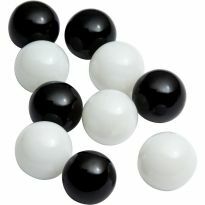 They do not appear to for drilling into hard wood, like Brazilian Cherry or Kumaru. 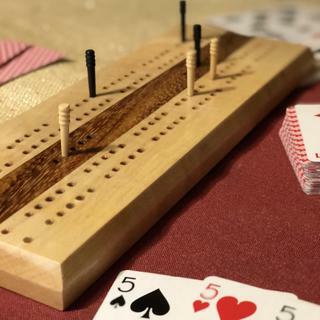 Similar to another review on a bigger cribbage template, I found that this template works fine. However, the drill bit continues to get clogged and I have to stop every couple of holes to clean it out. I tried to slow down drilling, but it didn't help. Aside from that, this works fine. So that I can make cribbage boards and hopefully ensure straight drilling of the scoring holes. 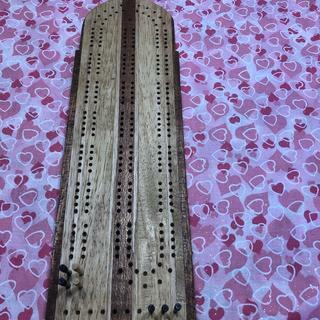 Old cribbage board worn out-the holes got too large. Found the wood for a new one. Going to make cribbage boards and will also find the templates useful for other applications. Build custom boards for my friends. 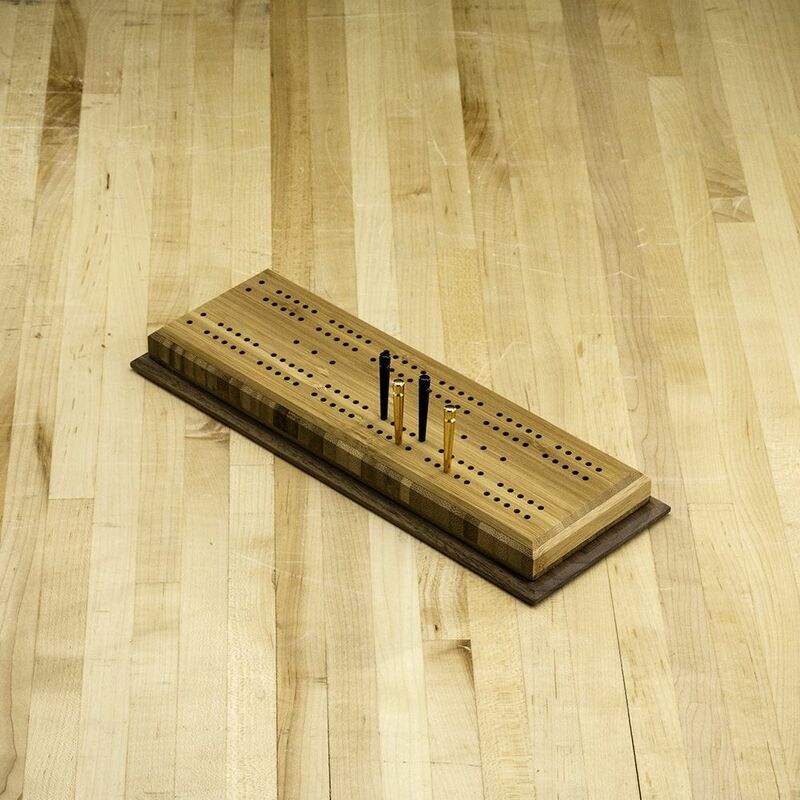 I want make cribbage boards. I just need to be told how to make peg holding compartment. 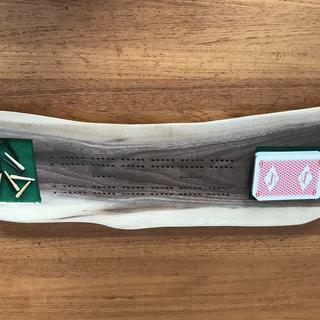 Making a travel cribbage board. Will use to make gifts. 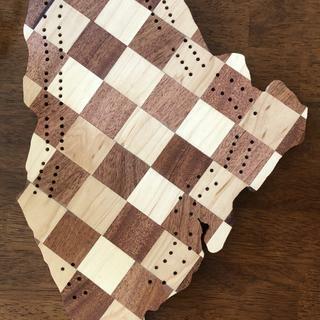 For my son to make a board for me. Decided I wanted to build my own. Used to play cribbage with my grandpa 50 years ago … now that I am a grandpa, I have some traditions to uphold! 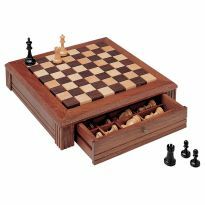 Need it to build my cribbage board.